The MackRoller, from the CigFactory, is a motorized Supermatic that's been around since 2001* and sells for $250. Detroit Tobacco sold a similar machine in '05* ($300, jpg). Oct '07: Mike c found a motorized Top-O-Matic on eBay called the EZ Make ($320, jpg... it didn't sell). Jan '08: Mike c found another EZmake on eBay, this time a modded Supermatic II. As of this writing k9muj0 has sold at least five motorized 'matics for $150 - $250ea. I see no point in replacing the crank arm with a motor, its the easiest and fastest aspect of making a cigarette, i.e. it won't speed up the process one bit. The worst thing you can do to a crank machine is force it. With a motor you don't have the same feedback as you do when cranking by hand. With a clean machine, hand cranking requires very little effort. If the machine is hard to crank or seems to be having a hard time cutting the tobacco, its time to the clean the machine. I haven't seen a single pro motorized crank machine post by a poster that I trust (all positive posts appear to have been made by folks with a vested interest). was one reason I purchased mine but, why did you not just have it have it replaced it was still under warrenty? Also you purchased from a retailer did you not see the machine first? I have purchased may things over the years that did not work first time properly but just had them replace it, problem solved. I have contacted the BBB in Phoenix regarding this company. I have a lot of money invested in this machine already and it continues to break. What is the status of your lawsuit? Wish they would stand behind their product and issue refunds or upgrade when they continually upgrade to make a better machine. Like every other company does. What a waste of money. Just recieved my new Mack pro the second one I have owned. The first one I still have which with some of it quirks motor going out, switch doing the same. I talked with service and they sent me the replacement parts which I put on myself and on my way I went. It operates like the hand crankers but I could care less and it did make over 3 cartons a weeks for me and my wife over 4 years. The new one I am using seems the same but it did get it with the rolling station which stores tobbaco, cigarettes and has a convient place for sliding the tobacco into the machine, but it is alittle cumbersome but makes 100's better. I just know this I do not know what I would do without it, man smokes are expensive!!! I purchased a Mackroller, and after rolling MAYBE 8 cartons, the weld snapped on the main drive shaft. No wonder there is only a 30 day guarantee. I could have shipped it back to them at my expense plus the $60 minimum repair charge, but opted to have it welded myself. Still doesn't work right. As a toolmaker for the past 24 years, I don't think I've ever seen such a prehistoric contraption. Very lousy design. Save your money. A question if you will. I looked at the link below about the MR. Correct me if i'm wrong, but ... it seems as if it's just a supermatic with a switch instead of a crank? I'm not sure where my IP address will show. It does combine people in the same areas, but rest assured I have no vested interest in any of these. I'm actually shopping for a cigarette machine. Electric definitely. It might be the silliest thing, but when you have major issues with your hands, it comes in handy. See, I kinda like to do things with my hands that doesn't cause major pain. Some of you should think before you post. Out of all the ones I've researched, the Mackroller seems the best for the price. All rollers need you to shove the tobacco in the slot, so why do you need a hopper? I'm going the Pro. I'll repost after I've had it for a couple months and let you know how it worked. Get a Powermatic 2. The little square injector style one, not the one with an augger. I've been abusing it for a year, and it still works great and at less than HALF the cost of a MackRoller, which is nothing but a Supermatic knockoff with a motor attached. 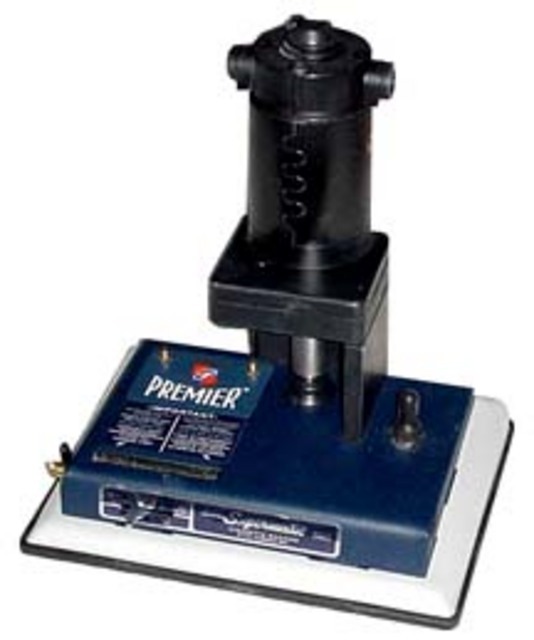 The Mack Roller Machine is a great Cigarette stuffer when it is working. I have had many problems with my first machine. (it lasted 3 years) I would call the up and they would send me parts and I would try to fix it with their help. Now there is a new owner involved and the new one I just purchased did not last 2 months and I could not repair it myself after performing all the suggested repairs. They told me to sent it back (at my expense) and they put a entirely ne lower mechinism in it. I received the new unit and it lasted two weeks and the weld they used to connect the upper motor and gear box together broke apart and distroyed the material that the upper unit was welded to. They told me to send it back (at my expense) and they would repair it for $90.00. I don't think the machine nor the company is worth that much. Sorry to hear about your troubles but thanks for posting your experience. Doing a search on the internet shows they've been around a few years but curiously, nobody has posted any pros/cons about them in this time. When your roller did work, how fast could it stuff tubes? It sounds like the person above has had to many problems and was performing there own repairs or maybe just a bad machine. I have had mine for over 3 years also and have had a new switch put in it along with a new motor from the CigFactory at a flat rate charge and found them very helpful. I find it that if I put $90.00 into it every 2-3 years it pays for itself easily and it rolls 8 smokes a minute. Definite thumbs up in my veiw! This machine looks just like a supermatic with an electric motor attached. Its called the MackRoller, It does not appear to have a hopper like the Easy Roller. I would like to share my experience, we have had the Mackroller for 4 yrs and will never get anything else it's easy to use and packs the cigarettes better then store bought! Me and my husband have put through about 80,000 plus over the years with just having to replace the switch which the Cigfactory sent out a next day and helped us to install it ourselves. They are the original company that made the electric. Is Kenneth Seals your husband? Is the mackroller really so good that you folks went looking for a place to say nice things about it (Same IP address and referred here by MSN when searching for 'mackroller review')...Do you also go by Maggie? (same content and IP address)... A much delayed (2+ years) IP address lookup shows that the posts were made from the mackroller website. Actually, in this case, I don't think server logs or even a simple IP address was needed. However, server logs and even simple IP address info can be VERY helpful! LOL! The posts were identical except for the name and were promoting something which was obviously over-priced and basically a knock-off of the Supermatic with added electric motor. Anyone who uses a supermatic can easily imagine the problems associated with having an electric motor to operate a supermatic. You would have no feedback as to whether the chamber was over or under stuffed and it would most likely break quickly and often.